When you become President the whole world wants to know who you are…. This book review of ‘The Bridge’ by David Remnick concentrates on what makes the nation’s 44th President tick…..
Remnick……deals with the three things I headline above….. In his first race for Congress, against the former Black Panther Bobby Rush, Obama was branded “not black enough.” He was not the descendant of American slaves. He had not participated in the civil rights struggle. He was not a militant activist. Nonetheless, Obama spoke at Brown Chapel in 2007, the launch site of the Selma march. Hillary Clinton was slow to make arrangements and had to settle for the less iconic First Baptist Church. She spoke well enough. Remnick is unfair to her, saying she dropped her g’s and gave a northern Illinois version of Southspeak, “channeling her inner Blanche DuBois.” In fact, Clinton is a natural mimic who “does the voices” when she tells a story — I have heard her become a Southern judge and a black woman preacher when describing one of her law cases. This got her into trouble when she “channeled” Tammy Wynette. Obama has the same gift. When he reads the audio version of “Dreams From My Father,” he speaks, in turn, like his Kenyan relatives, his Kansas relatives and the street kids he met in New York. The difference between the two speeches that day in Selma lay less in delivery than in Obama’s way of making the events of his life story meld with those of his audience. He was laying claim to the black struggle as his own……. The ability to move between his two parents worlds……after melding them to fit his purposes…. He [ Obama ] said: “My grandfather was a cook to the British in Kenya. Grew up in a small village and all his life, that’s all he was — a cook and a houseboy. And that’s what they called him, even when he was 60 years old. They called him a houseboy. They wouldn’t call him by his last name. Call him by his first name. Sound familiar?” Actually, Remnick shows that Obama’s grandfather was a respected village elder and property owner, who left his native town for Nairobi to cook for British colonials, and then traveled with British troops to Burma, bringing back their Western clothes and ways to his village. But Remnick, the editor of The New Yorker, has many important additions and corrections to make to our reading of “Dreams From My Father.” Obama makes his mother sound naïve and rather simple in his book. Remnick shows that she was a smart and sophisticated scholar, whose studies for her doctorate were aided by her friend Alice Dewey, the granddaughter of John Dewey. And finally the great compromiser…in Chicago and as he was getting thru his teenage and college years….. The development of these traits helped him in dealing with the Economic problems in the beginning of his tenure as President and the Healthcare Bill’s journey….. Check out the piece if you can…. 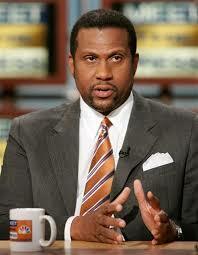 Tavis Smiley soldiers on against Barack Obama…. He held a forum tonight in Chicago asking…has Barack Obama been true to the black agenda since becoming the 44th Untied States President……. Here’s the piece from the Washington Post…..
Should President Obama have a black agenda? Popular talk show host and activist Tavis Smiley is planning to host a forum Saturday at the 6,000-seat Emil and Patricia A. Jones Convocation Center on the Chicago State University campus to explore the provocative question. Smiley has invited a panel of black academics and leaders, including the heads of the NAACP and the National Urban League, to Obama’s home town to discuss whether the nation’s first African American president is doing enough to address the community’s concerns. Smiley also invited White House senior adviser Valerie Jarrett, but neither she nor any Obama representatives plan to attend, a spokesman said. Several years ago, Smiley compiled a nationally best-selling book, “The Covenant With Black America,” which laid out strategies for addressing black-white disparities, in health care, education, wealth creation and criminal justice. Smiley also has caused ripples in African American leadership circles with his outspoken insistence that Obama — like any other president — be held accountable by black voters. Many of the disparities cited in Smiley’s book have only grown amid the recession, and increasingly some black leaders are grumbling that Obama should be doing more about them. Last week in an article in The Washington Post, some members of the Congressional Black Caucus complained that Obama is out of touch with them and difficult to reach on the issues that matter most to their constituents. For his part, Obama has resisted suggestions that he craft policies directly aimed at the staggering economic and social challenges facing many black communities. Black unemployment stands at 15.8 percent, far above the national average of 9.7 percent, and African Americans are more likely than most Americans to lack access to health care and good schools. They also have been disproportionately affected by the home foreclosure crisis, and the rampant loss of wealth that has come with it. 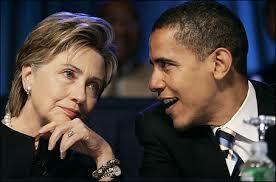 Stare them in the eye and push ahead…Obama …like Bush…. learns to stand in there and fight for what you want…. One of the things that used to drive people crazy about George Bush was his ability to go to Presser’s…and listen to reporters question and doubt him…put dismiss the cracks and press on, regardless…..
Brack Obama is learning that this is the way it’s done…. On the Healthcare Bill Obama, is finally getting it…..his failure to engage with Democrats the GOP has allowed the Republicans to get ahead of him in public opionion…..but in the last week the White house taken over the debate and now questions get answered by Pelosi and Axelrod…..You all do notice that Senate Majority leader Reid has gone largely silent? 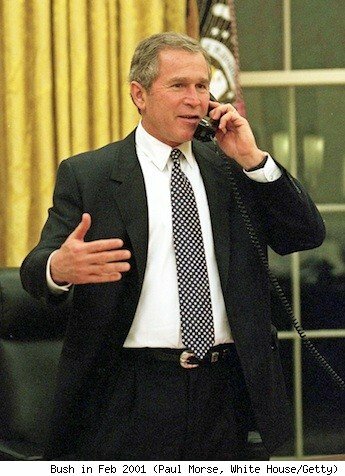 Like Bush Obama has learned recently that if you believe something is right for the country…for forge ahead….fighting with all your political skill…..
Karl Rove in his new book, “Courage and Consequence,” mocks those Democrats who expected Bush to trim his sails in early 2001 just because he won a hotly disputed election. “It is important to remember that Bush had run and won on an agenda that included providing tax relief, reforming Social Security and education, strengthening our military, and modernizing Medicare,” Rove writes. “For the president-elect to cast aside his governing ideas to curry favor with the Democrats would have been wrong and foolish.” In Rove’s eyes, Bush deserves major historical credit for having the courage to be a “conviction politician” and to bravely face the consequences. The Dog has been acussed of unabashedly favoring Barack Obama in everything he does…..not so….for a long time here and at Politics 1 the Dog complined..sometimes bitterly about President Obama refusal to get involved in the Healthcare Bill debate…. No more…he has slowed his travel schedule and has campaigned for the bill…which was a signature issue… with which he campaigned for…..
Here’s the end of a PolitcsDaily picece that the Dog took the above from…..
Obama trys to court the GOP…..It won’t work…..But it’s good politics…. The Dog smiled when he saw a piece in the New York Times….. The Dog expressed his opinion that the President needed the Republican’s (at least the moderate ones…if any are left…he, he, he) to come along with him on Healthcare….his failure to do so started this riff that he got into with the “Scott Brown effect”……Let me make it clear.….’going it alone ‘ is a dangerous policy.…and has gotten Obama’s tail sniped at…..if he can’t get the Republicans to join….then they to be defined as the bad guys …period…..this is what got Bill Clinton thru the impeachment hearings…and will get Obama a second term……. Emboldened by the response to President Obama’s face-off with House Republicans last week, the White House is intensifying its push to engage Congressional Republicans in policy negotiations as a way to share the burden of governing and put more scrutiny on Republican initiatives. The president has invited members of Congress from both parties for a meeting at the White House next Tuesday, the first of the bipartisan brainstorming sessions that Mr. Obama proposed during the State of the Union address. Republicans will also be invited to the White House this weekend to watch the Super Bowl, as well as to Camp David and other venues for social visits. The White House’s goal is to show voters that Mr. Obama is willing to engage Republicans rather than govern in a partisan manner while forcing Republicans to make substantive compromises or be portrayed as obstructionist given their renewed power to block almost all legislation in the Senate. While the strategy addresses some of Mr. Obama’s short-term political problems, it is not clear that it will help him with the more fundamental issue facing him as the leader of the party in power, which is showing voters results before Election Day, especially with unemployment in double digits and the health bill stalled. Obama trys to court the GOP…..It won't work…..But it's good politics….